One person has been injured in a marine accident involving an oil tanker and a passenger ferry outside K. Funadhoo (Theyo Funadhoo). The collision took place at approximately 7:10 this Sunday morning. The person injured in the collision is being treated at the Indhira Gandhi Memorial Hospital. Details related to the person’s injuries is unclear at this point. 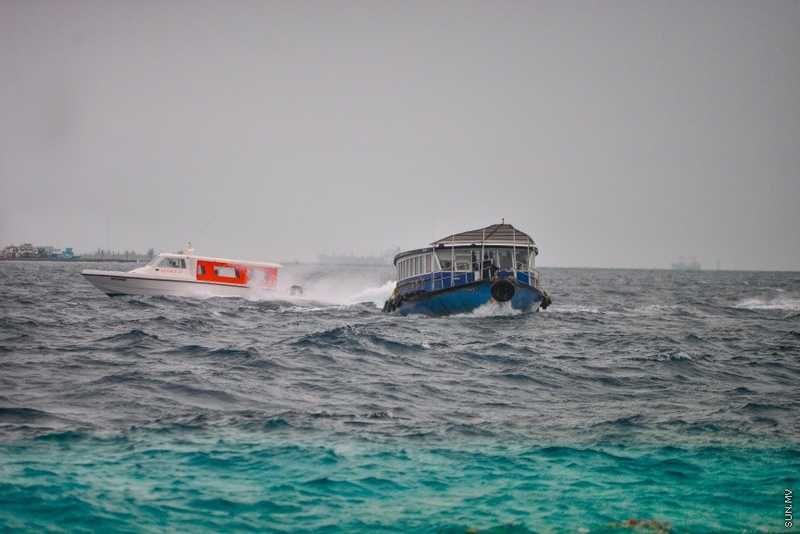 “Sun” has been informed the passenger ferry involved in the collision belongs to Hulhule’ Island Hotel (HIH). Both the boats suffered varying degrees of damage in the collision. It is unclear at this point if any other party was injuried in the collision. Police media official said the authority received report of the collision at 7:15 am, and that police officers are operating at the scene of the collision.